There is always one bittersweet moment each time I arrive in Sedona, knowing I will have to say goodbye again. The first time I laid eyes on the exquisite scenery of Sedona, was back in the mid-1980s when it was still somewhat of an undiscovered paradise. With a breathtaking landscape that melds both desert and forest vegetation, I immediately fell in love with its majestic beauty and splendor. Although it would be almost 20 years until I returned and much had changed in the name of progress, for me, actually nothing had changed at all. A few hours drive north of Phoenix, it is one of the most spectacular and awe-inspiring of all the places I’ve traveled to. And I’ve been privileged to travel far and wide in my life. Sedona is as close to heaven here on earth as I think I’ve ever experienced. It is always challenging to try to put into words something that can only truly be experienced firsthand. From almost the beginning of your drive up Highway 179, the magnificent Red Rocks soar above the lush landscape. They are quiet and still, reminding me that there is something much grander and wiser than I am. This is nature in its most glorious, timeless state. The stunning array of red sandstone rocks always leaves me speechless. There is no way to explain how I feel, other than to say it is simply breathtaking. Everyone I’ve ever talked to about Sedona has either felt this when there, or heard the same thing about it. There is a quiet, inner peace I feel in this place. It has been revered by Native Americans for thousands of years, for both its sacred nature and for its very high spiritual energy. Regardless of your beliefs, the word ‘spiritual’ takes on a rather individual meaning in Sedona. I feel this every time I am there. It offers me a lightness of being, feeling as if time is standing still and that nothing “out there,” nothing but this moment, really matters. This is a state that often eludes me in my day-to-day life, yet I find so effortless to achieve while there. 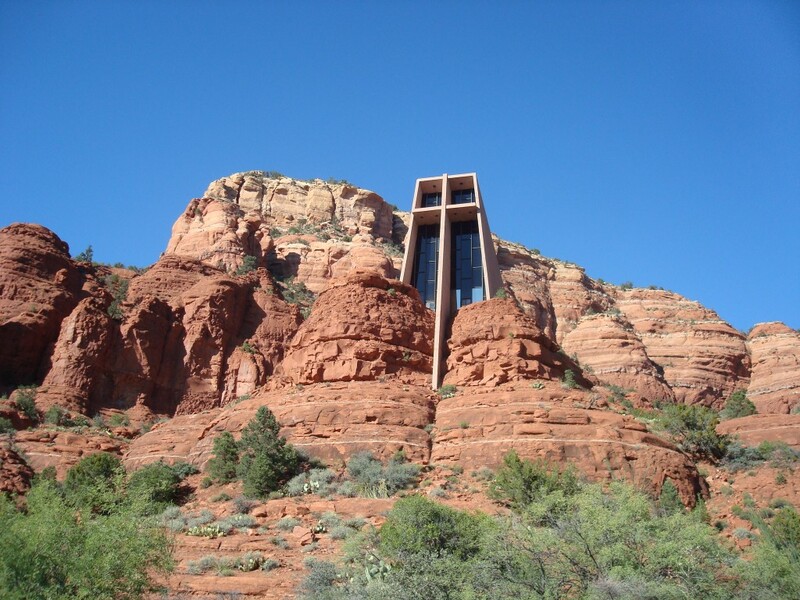 A favorite place I return to each time I’m in Sedona is the legendary Chapel of the Holy Cross, also called the Chapel in the Rock. I’ve met and talked with people from all over the world when I’m there. Universally, regardless of religious background, they are touched and humbled by its serene yet profound presence. The magnificent structure is built literally in the red rocks, a vision of sculptor Marguerite Staude who was determined, despite obstacles, to bring it to life. Each time I visit, I am again overwhelmed by the incredible beauty of both the Chapel and its stunning surroundings. An absolute must-see. What do people do in Sedona? Everything! Whether you like to hike, bike, play golf, try a jeep tour into the red rocks, fly high in a hot air balloon or shop for wonderful local jewelry and crafts, all this and much more are within a few minutes drive. Some of the most intricately beautiful jewelry I have ever seen, especially hand-crafted turquoise created by native Navajo artisans, comes from Sedona. The city of Sedona is somewhat unique, in that it has virtually no street lights. What an absolutely wonderful way to see a dazzling night sky, filled with seemingly thousands of stars. A site I have rarely witnessed in big cities. Sedona is very well-known for its powerful energy vortexes. Sedona is known as a spiritual power spot. A vortex site in Sedona is a place where one can feel Sedona’s spiritual energy most strongly. By definition, a vortex is, “A place or situation regarded as drawing into its center all that surrounds it.” A great way of describing what I feel when there. I’m drawn in and never want to leave. Taking a tour of the four primary vortexes offers quite an indescribable and powerful experience. Having been to Sedona at various times of the year, I’ve enjoyed the changing seasonal weather and landscape. My favorite time is September or October. Incredibly perfect for both an avid cloud watcher like myself and for swimming and catching some stunningly clear sunny days. It is said that for hikers, which I am, there are enough hiking trails that you could do a different one every day for four years and still not run out of trails to enjoy! And you always meet such interesting people from all over the world while hiking. It seems as if fall will never come to Sedona. But it does. I’ve also visited in December when the two-and-a-half hour drive to the Grand Canyon found us in a full-blown snow storm. What can I say about the Grand Canyon, other than that a trip to it is an amazing adventure, an opportunity to see one of the extraordinary seven natural wonders of the world. Only by experiencing it, can you truly understand why it has fascinated writers, painters, photographers and explorers since it was first discovered. Although many have tried to capture its essence, it has a timeless and elusive quality. Once you visit, you understand why it is virtually impossible to describe. Truly beyond words. The day we visited, a lone California condor, an endangered species, put on quite a heavenly show for us as we hiked along the south rim. Swooping close enough for us to almost touch it, and then just as quickly soaring away to wow other visitors. It was a spectacular and entertaining show indeed. Indescribable and majestic. The kind of stuff lasting memories are made of. It’s time to say goodbye again to Sedona, following a glorious and perfect two weeks here. Breathing in all the energy of the early morning serenity, I take my last solitary walk. I feel a sense of sadness because I never know for sure when I might return. I just know that I will. After all, there are still far too many things for me to explore here. So, until we meet again Sedona, I gratefully bid you farewell. What are the places you’ve visited that have left you with lasting memories? p.s. 2016: Having just returned from my tenth visit to Sedona, I can honestly say I never tire of it. I realized this time how traveling to somewhere that uplifts and reenergizes us, is part of healthy lifestyle choices. Our health and vitality are so very influenced by every lifestyle choice we make for ourselves. If I can support you in any way, please reach out so we can create a customized, individualized health program designed for you. You can begin with the True Health Assessment and see how healthy you are with your lifestyle and nutritional choices. Look forward to talking with you soon! There is something special about places you connect to. Sedona is one of those universal places. I’ve had friends move there and they describe it as being in a piece of heaven. It’s wonderful that you have been able to return so many times and soak in all it’s beauty of wonderful energy. Joyce Hansen recently posted…Women online – which one is yours? I agree with you Joyce, about how special is it to have places you connect to and where you want to return. Sedona is quite magical. Regardless of who it is that visits, somehow the experience is always similar. How fortunate for your friend to have the opportunity to move there and to experience Sedona’s ‘heavenly’ energy. I always look forward to returning each year and wonder if maybe it is ‘my perfect place’ to live ultimately. Time will tell! Wow.. what a great time you must have had. I haven’t been out that way since I was a teen and my family lived in So Cali and took a trip to the Grand Canyon and 4 corners, so all of those states, petrified forest, all amazing beauty… glad you could too. I’m a big fan of the southwest, Kristen, California included. The Grand Canyon is definitely always worth the trip; truly incredible in it’s majestic beauty. I agree with you that there is amazing beauty for us all to enjoy! If I lived in Arizona, Alene, I would be exquisitely happy to have the opportunity to visit Sedona, as often as possible! Yes, the energy and beauty are truly beyond words and I also feel very peaceful and relaxed when there too! Enjoy your next trip and so happy this piece helped you relive how much you love visiting there. Beverley, you make this sound so fantastic. I especially LOVE that there are no street lights, so you can see the stars. I LOVE a starry night. And the energy vortexes. And the Grand Canyon. Why have I never been there?! Thanks for letting me share your journey vicariously. Reba Linker recently posted…Stop Doing and Start Visioning! Oh Reba, I am so delighted you really could ‘feel’ a bit of Sedona in this post! It is quite magical and once you’ve been there, you’ll see why it is so hard to put into words. Everywhere you turn it is more beautiful than the previous view! I really do hope you get to travel there and experience all of the things that resonated with you, for yourself! Isn’t it wonderful to revisit favourite places and know, regardless of changes to the place, the uplifting feeling is the same? I feel this way about a few places. There are certain spots in the Blue Mountains that do it for me, spending time on Sydney Harbour and a bit further afield, there is Bali.Each place is so different but they all serve to make me feel uplifted and connected to everything. Having read your post(s) on Bali, Tami, I really sense how it gives you the feeling of awe and being connected to a grander plan. The Blue Mountains and even the Sydney Harbour sound lovely too, and I imagine they are much closer to home for you. I seem to have to travel a fair distance from Toronto to get the feeling of connectedness. Sedona is it for me now in North America! Thanks for sharing your favourite places to return to and to find they always offer you the same wonderful experience. I love Sedona. I did my yoga teacher training there. Such a beautiful place. Would love to go back. One of the best things….my yogi toes dried so quickly. Sometimes it is the little things in life. In Sedona, the little things become so much more noticeable I find, Christy! That’s a wonderful place to do your yoga teacher training too. It must have been heavenly to be in the Sedona energy for that. Hope you get to return again, especially as it sounds like you really loved it there! Sedona is truly a majestic place. I, too, love the Chapel. A place of great serenity and peace. And what can I say, I love shopping! You are close enough to visit Sedona on a regular basis, Carol, you know how majestic a place it is. The Chapel really is a very special place and the energy seems to have a calming effect on all who visit. Yes, to the shopping too, as most of my jewelry is from Sedona! What a beautiful ode to Sedona, Beverley! SO glad you got to visit again. And I love the pics as well! If you haven’t been to Sedona, I believe you would LOVE it Susan! I’m happy I got to visit again too and plan to keep visiting each year. Glad the pics helped to show a bit of the beauty of the energy there! I love Sedona. We traveled there a few times in our lives. My husband and I love the area and want to live there at least part of the year. I am getting anxious to go back soon. That’s great that you’ve visited Sedona, Sabrina! I totally understand why you and your husband would want to spend at least part of the year there. I do too and am attempting to figure out how to have that happen! Enjoy your time there when you return. There is certainly something in the air in Sedona. The energy is palpable rather than tangible for me. I love it there. Jennifer Quisenberry recently posted…Let Your Grey Hair Fly Free! So happy you’ve had the chance to visit Sedona, Jennifer! It is a palpable energy which is what makes it so challenging to put into words, but so felt by everyone who has the chance to visit. It’s always so refreshing to take a vacation to simply relax and nourish our spirits. I don’t have a particular place that does this for me. However, being the passenger on road trips allows me to relax and soothes my spirit. Agree that to get away certainly offers a chance to refresh and rejuvenate ourselves. Sedona is like an elixir for me, and I love returning year after year. Sounds like you are a great passenger and the benefits for you, are worth the ride! 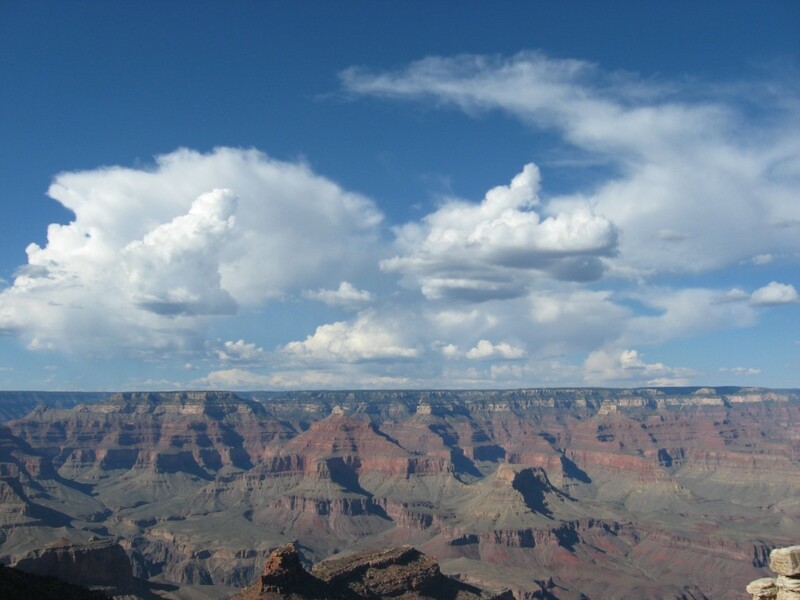 I have been to Arizona – we visited the Grand Canyon; I was in Phoenix for my graduation at University of Phoenix. I have heard these stories about Sedona and I have it on my list of places to visit – I want to experience its spiritual energy. Thank you for giving me some insight into this magical place, Beverley. You will love the high spiritual energy of Sedona, Tamara. It is palpable, even for those people who aren’t as conscious of what it is. There is something magical and light about Sedona as well and I never tire of visiting. The Grand Canyon is also wonderful and of course Phoenix has its own urban energy. I really hope you have the opportunity to return to Arizona and to experience Sedona for yourself! I’ve never been to Sedona… but I felt like I was there the way you were describing it. The dry air would definitely help my allergies. Gisele Grenier recently posted…Do Your Posts Make Sense? One of the things I love the most about Arizona and especially Sedona is the dry air, Gisele. It makes huge difference in my health as well and I love returning each year. Hope you get to experience the wonder of the desert air here soon! How beautiful is Sedona, AZ! I have yet to visit and now after reading your post I know I have to visit soon 😉 Enjoyed learning about Sedona!! You’ll really enjoy it hear in Arizona Joan. My favourite is Sedona, although it is a wonderful state to explore. Glad you enjoyed learning about Sedona and hope you do get the opportunity to travel hear to witness it soon! This place is on the list Beverley, together with Grand Canyon, yes. I can only imagine how amazing it is just by reading in your post and seeing these amazing pics. I know you had THE perfect vacation! Sedona and the Grand Canyon are a perfect vacation getaway, Delia. I would strongly suggest you put it at the top of your travel list. Tonight’s sunset skies were wonderful and I am happy to have new ones, as each year brings a new appreciation for the magical energy I feel here. Yes, it is always the perfect vacation when I visit Sedona! A beautiful spot with powerful memories ~ no wonder you’re drawn to this spot! Thanks for sharing them with us. Sedona is definitely a beautiful spot Deb. I am delighted to be back here now, enjoying my yearly fix of sunsets and vortex energy. A place I strongly recommend everyone visit at least once in their lives. I love the pictures Beverley and Sedona looks and sounds so peaceful and yet energising. I have been to the Grand Canyon and it’s breathtaking and awe inspiring. I always find it hard to leave my favourite ‘break’ places (just arrived home from one of them) but in the end I find there’s no place like home. Sedona is exactly as you describe it, Tamuria. It brings me great peace and yet I feel alive and energized here. The Grand Canyon is magnificent and although different, they both are awe-inspiring and breathtaking. Like you, I really do best when I am at home, yet here in Sedona, it is as close to home as I have ever experienced. Isn’t it wonderful to have a place that grounds you and gives you comfort and the thought that it is there? I remember in the closing pages of Gone With The Wind, even though Rhett Butler’s parting shot at Scarlett and her closing words of tomorrow being another day are famous, there is also the mention of her thoughts of returning to Tara for a while because that is the one place where she gets a chance to get herself sorted out. I’m responding to your comment, Vatsala, just after seeing the most heavenly sunset. I really feel the healing here in Sedona and it both grounds me and also lifts me far above the “real” world. Yes, I do remember that final scene in Gone With the Wind, and my home is also my sanctuary. It only seems that I can feel almost like I do at home, here in Sedona. Delighted to be back again for my yearly fix! I know many people who love Sedona, but I’ve never visited. Your post makes we want to put it on my bucket list. Honestly, Lesa, put Sedona on your bucket list of places to visit, NOW. You truly will not be disappointed. Categorically, everyone who visits here, loves it. I look forward to hearing about your experience once you do! What a beautiful description of Sedona. I have never been, but after reading this post I know I must experience this place. What time do you recommend visiting? I love the warm weather but not scorching heat. Thanks for the wonderful post. Thanks so much Lisa. I really appreciate your support and hearing that you enjoy my writing. Sedona is too good not to visit and in my experience the fall is the ideal time. September or October. It is hot, but not Phoenix hot, and the evenings do get a bit cooler. In case you don’t see my response here, I’ll send you a message as well, as I believe everyone should experience Sedona! It is that special. Having been to Sedona & the Grand Canyon 4 times I do know how it looks & feels. You say it is indescribable yet your words brought me back to my own experiences. You will return. Thanks for confirming what I say in the article Roslyn. That people who visit Sedona really feel the energy and even if they cannot describe it, it is palpable. And yes, I know now, that I also do return and enjoy it each time I do.